Investment in Young People (IiYP) is the business mark for corporate social responsibility. IiYP is a National Award that recognises the important work that businesses carry out in assisting young people aged 5 to 25 to gain employability skills and to assist them with the transition from education to the world of work. The Sussex Chamber of Commerce (as the sole delivery agent in Sussex for this prestigious award) is extremely excited to announce the first company in the county that has successfully achieved the required standard. Since its launch over 35 years ago, Electronic Temperature Instruments Ltd (ETI) has become the UK's leader in the design and manufacture of electronic thermometers and temperature probes. They also manufacture temperature and humidity data-loggers, as well as humidity and pH meters. ETI has an internationally recognised, UKAS accredited calibration laboratory, for both temperature and humidity. In 2018, ETI won the Queen's Award for Enterprise for the fourth time in six years and has enjoyed the recognition of its business model and apprenticeship scheme by national bodies. Peter Webb, MBE, Managing Director: "ETI are proud to have achieved the National Award in Investment in Young People. Our business has unquestionably benefited from our apprenticeship scheme and liaison with local schools and colleges; introducing young people to the many aspects of our manufacturing business, and also giving them an opportunity to experience potential employment. Not everyone has the time or facilities to offer significant opportunities to younger people, but as they are undoubtedly the future, any encouragement is worthwhile. From work experience placements and CSR events, through to offering a little time in mentoring students. Investing in young people has proved a valuable feature of our business; however, we recognise that there is always room for improvement and would encourage any business to enter the IiYP awards to provide self-awareness." Ana Christie, Chief Executive, Sussex Chamber: "The Investment in Young People award demonstrates the company's commitment to investing in and supporting young people. ETI has shown huge determination to working with local schools and colleges and providing young people with opportunities by gaining employability skills and assisting them in the transition from education to work. 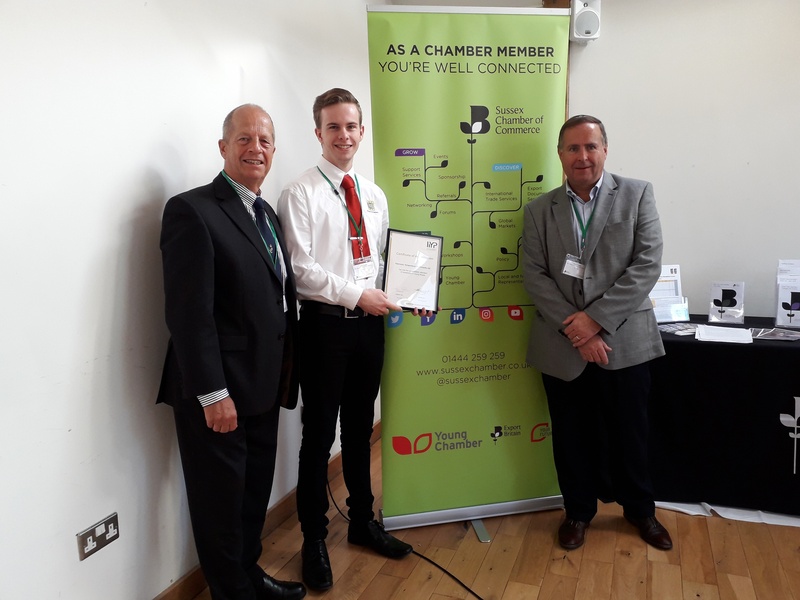 The IiYP accreditation is a national initiative of the British Chamber of Commerce's Young Chamber and makes a business stand out from the crowd as a Sussex-based employer of choice. This will help to attract and promote Sussex-based jobs which are competing with London and elsewhere - giving you, Sussex employers, the tools to reduce your recruitment costs and help you satisfy your replacement staff demand."